Flowering July-September. Perennial. Native or possible relic ancient cultivation. 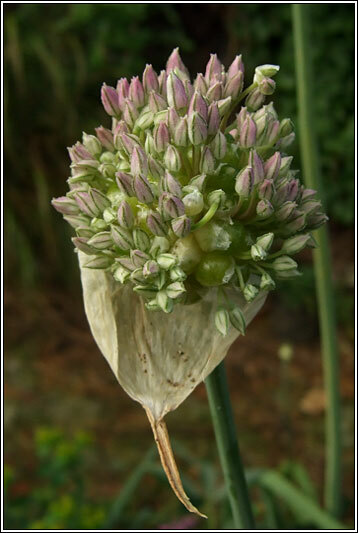 Heads of stalked mauve or greenish-white flowers mixed with small, stalk-less bulbils. 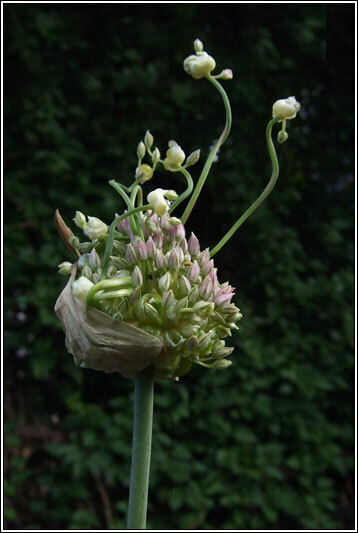 Buds sheathed by spathe. 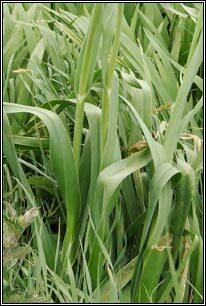 Linear grey-green leaves, flat above, keeled below, leek-like. 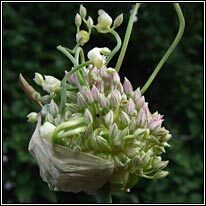 Leaves start to wither as plant flowers. 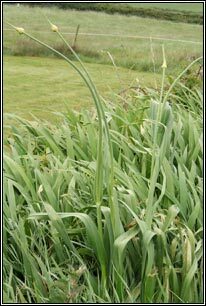 Stout stems, lower part sheathed by leaf bases, to 150cm. Spreads mainly by bulbils. 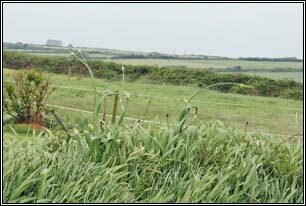 Coastal, rocky or sandy ground, roadsides and waste ground. Local distribution on the Aran Islands, W coast round Galway Bay, NW and NE Irish coasts. It is also found in Wexford and E Waterford.